Basketball legend Sheryl Swoopes has been coaching the Loyola University Chicago women’s basketball team since 2013. After the 2014-15 season, five players transferred to different programs. This year, 10 of the team’s 12 returning players have transferred or requested a release from their scholarships, and now the university is wondering what the hell is going on. “Any time there are allegations of student-athlete mistreatment, it is more than concerning,” Jermaine Truax, Loyola’s deputy athletic director, said in the statement. “The welfare of our student-athletes is paramount. Thus, the Loyola University Chicago Department of Intercollegiate Athletics has asked for an independent and comprehensive University investigation into the women’s basketball program. A player on the 2015-16 roster who chose to remain anonymous told The PHOENIX that the problem players have with Swoopes isn’t her coaching style, but the way she micromanages players’ lives. 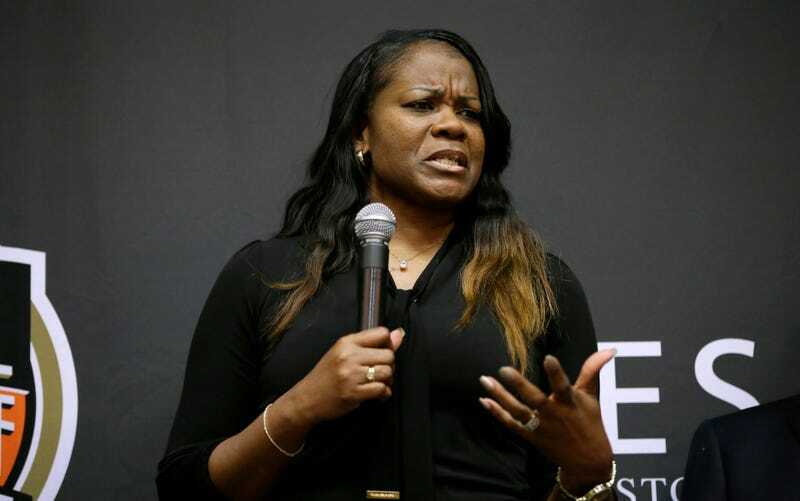 The player said Swoopes shares personal information about student-athletes with the team, recruits and members of the Athletic Department. The player said Swoopes has mistreated the team since she became the program’s head coach in 2013. Loyola finished this season with an overall record of 14-16.